Directed by Bille August. 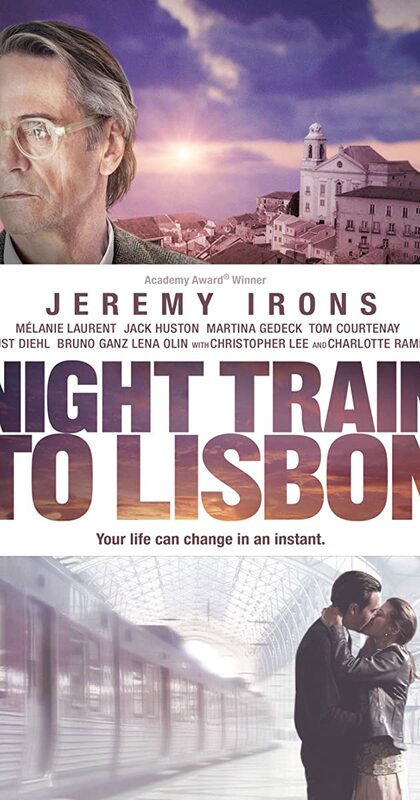 With Jeremy Irons, Mélanie Laurent, Jack Huston, Martina Gedeck. Raimund Gregorius, a Swiss Professor, abandons his lectures and buttoned-down life to embark on a thrilling adventure that will take him on a journey to the very heart of himself.